When Michael Jackson took the stage at the Motown 25 anniversary show at the Pasadena Civic Auditorium in 1983, he gave a baptismal performance of Billie Jean on live television in what would become his trademark look – the sequin-covered black jacket, rhinestone glove, white socks and black Florsheim loafers. Something seismic shook the pop and dance world ever after. Four minutes and five seconds into the song, Jackson "moonwalked" – and the world gasped in awe. The move, in which the dancer slides backwards but appears to be walking forwards, marked the biggest musical moment in American pop culture since Elvis Presley graced the stage. Michael Jackson would have been 60 years old on August 29, 2018; he died of cardiac arrest on June 25, 2009 at his Los Angeles home following a medication overdose administered by his personal physician. Nonetheless, almost a decade after his death, the King of Pop's legacy shows no signs of diminishing. His record sales, now in excess of one billion, continue to grow, his short films are still watched and his global fan base remains ever loyal. But there's a little known aspect of the performer's history – Jackson has become the most depicted cultural figure in visual art by an extraordinary array of top artists since Andy Warhol first used his image in 1982. Despite Jackson's significance being so widely acknowledged in matters of music and music videos, dance, choreography and fashion, his singular impact on contemporary art is prodigious, and yet, an untold story. "It is rare that there is something new to say about someone so famous," says Nicholas Cullinan, director of the National Portrait Gallery in London, which will stage the exhibition Michael Jackson: On the Wall over the summer, starting on June 28. "It will open up new avenues for thinking about art and identity, encourage new dialogue between artists, and invite audiences interested in popular culture and music to engage with contemporary art." 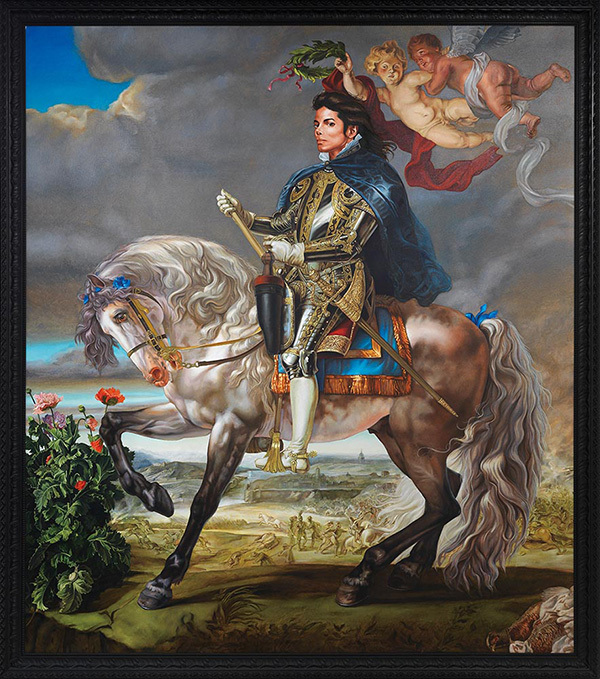 On the Wall, produced with the cooperation of the Michael Jackson Estate, brings together the works of more than 40 artists, which are drawn from public and private collections, including new works made especially for the exhibition. And extraordinarily for someone so publicly exposed and examined as Jackson, the majority of the pieces, both old and new, will be little known to their audience. The tantalising roster of featured artists includes some of the most important contemporary figures along with emerging talent. They range from Andy Warhol, Isaac Julien, Candice Breitz, Njideka Akunyili Crosby, Isa Genzken, Gary Hume, Rashid Johnson and David LaChapelle to Yan Pei-Ming, Kehinde Wiley, Catherine Opie, Rita Ackermann, Hank Willis Thomas and Jordan Wolfson. 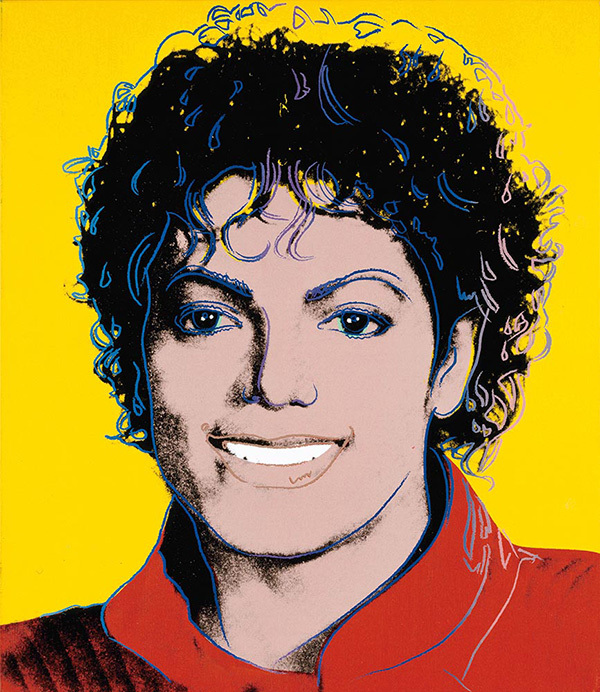 Warhol, who had several chance meetings with the singer, wrote of his depiction, Michael Jackson 23, in his diaries. He created the portrait for a Time magazine cover in March 1984, marking the release of Jackson's album Thriller. "I finished the Michael Jackson cover," he writes. "I didn't like it, but the office kids did. Then the Time people came down, about 40 of them, and they stood around saying that it should increase newsstand sales. The cover should have had more blue, but they wanted this style."